Check out our grommets and the tools necessary to set them! 144 washers and grommets per gross. 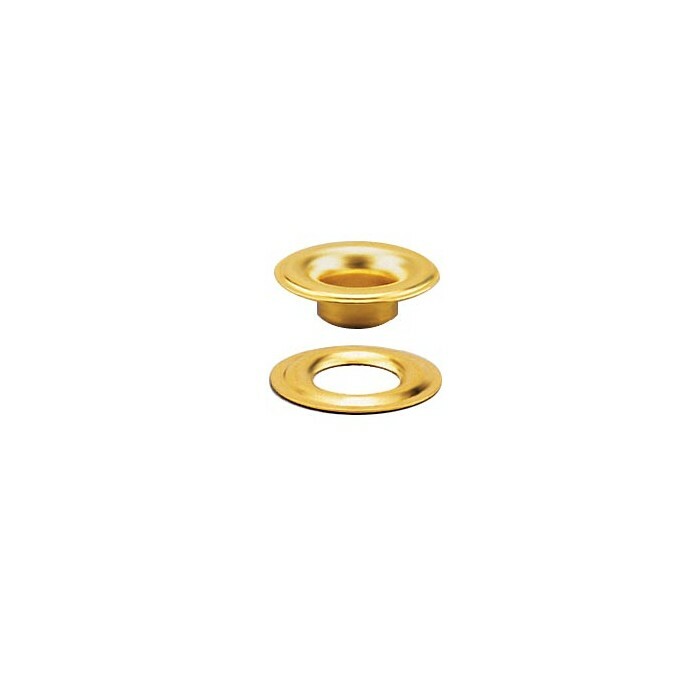 100% solid brass grommets available in brass, nickel plated and anodized black finish. 144 heavy gauge washers and grommets per gross. 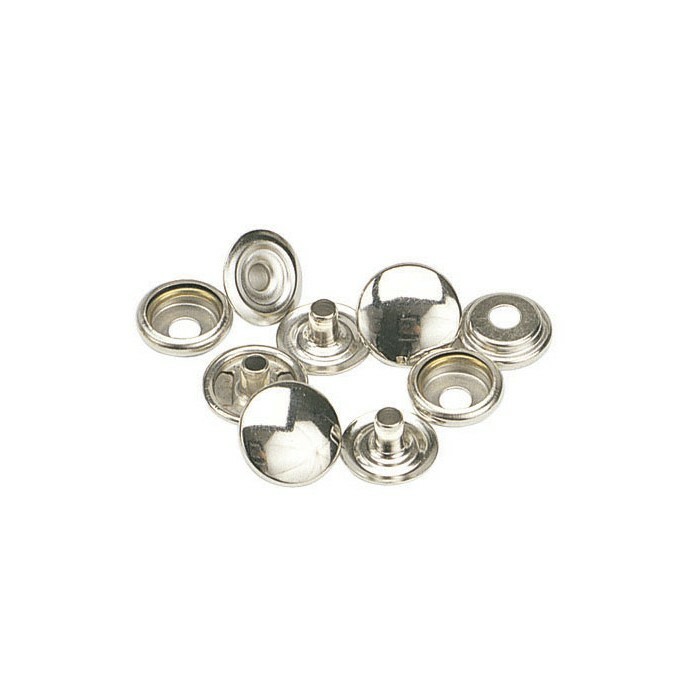 100% solid brass grommets available in brass and nickel plated. This is a professional quality grommet setter that will stand up to the test of time. Hardened steel insures long life for these setters, even in high use commercial applications. For use with Spur Washer Grommets. 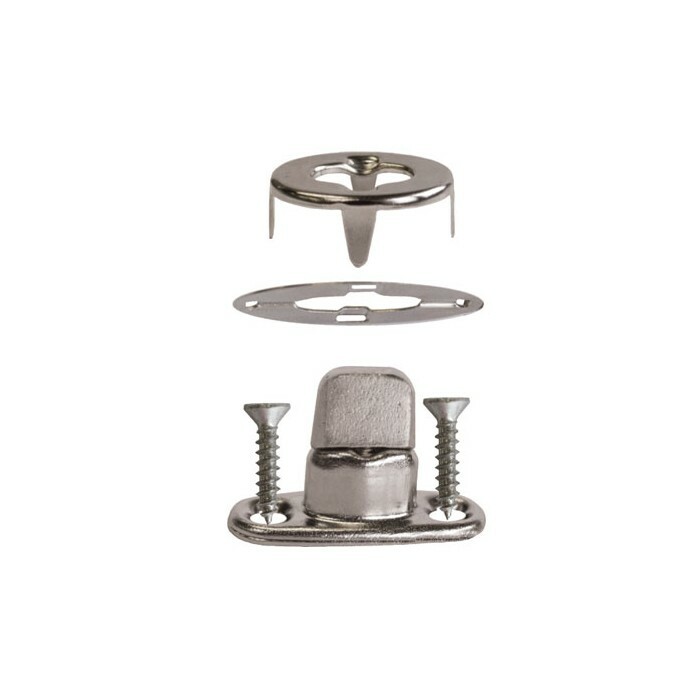 This die is perfect for intermediate usage, designed for use where more grommets are going to be set than the C.S. Osborne Grommet Kit but less than the Professional Setters listed above. Punch holes before setting grommets with one of the following tools: C.S. Osborne Drive Hole Punch, C.S. Osborne Belt Punch, C.S. Osborne Revolving Hole Punch or Screw Hole Punch. A complete and intermediate kit for consumer use. Each kit consists of a midget grommet setter, a belt punch, three dozen brass plain grommets and washers, a small cutting board and complete instructions! This professional quality setting tool comes with snap button, socket, eyelet and stud dies and #1 plain washer grommet dies. The heat-treated cast aluminum body makes this tool both lightweight and durable. It is portable, versatile and easy to use. Capable of setting numerous brands of fasteners. For availability of other types of dies, email us. This professional quality tool cuts holes for grommets. The solid heavy-duty construction makes this a great choice. This tool should be used with the self healing cutting pad. The use of wooden or rawhide mallet is recommended. Steel hammers are not recommended. Set grommets with one of the following tools after punching your hole: C.S. Osborne Plain Washer Grommet Setter, CS Osborne Grommet Kits or Press-N-Snap Tool. Hardened cutting edge and milled clearing hole, this is a cost effective hole punch suitable for consumer use. This hole punch has six settings that are easily switched so you can make the size hole you need! Tip: if you're having trouble getting the punch to go all the way through the fabric, use corrugated card board behind your fabric. Set grommets with one of the following tools after punching your hole: C.S. Osborne Plain Washer Grommet Setter, Handi Grommet Kits or Press-N-Snap Tool. Sizes are 3/16", 5/32", 1/8", 7/64", 3/32", 5/64"
One of the hardest parts of using common sense fasteners is cutting the oblong hole and the four holes for the prong to fit through. This punch does all of it at one time. A great way to save time and frustration. This tool should be used with the self healing cutting pad below. To enhance the life expectancy of your tool use a rawhide hammer or wooden mallet, not a steel hammer. Now available in two sizes! This cutting pad is a must for using punch type hole cutters. Made of resilient vinyl plastic, these tough cutting pads allow the cutting die to easily cut through the fabric and into the pad. Should be used on a solid base like the Mini Anvil below.